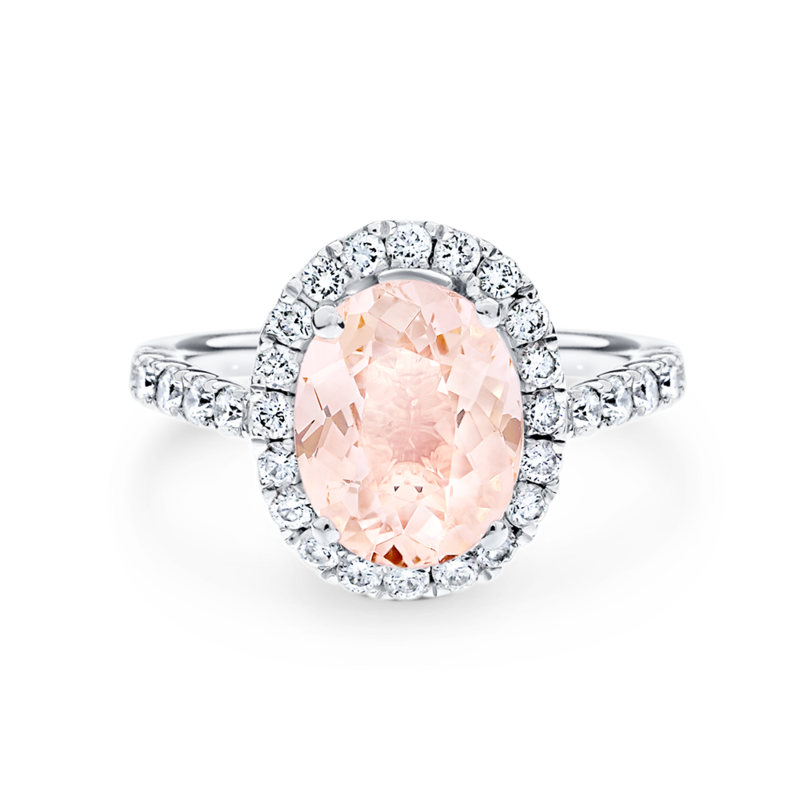 An oval-cut morganite comes to life in this spectacular ADC Willow halo setting with a diamond band. 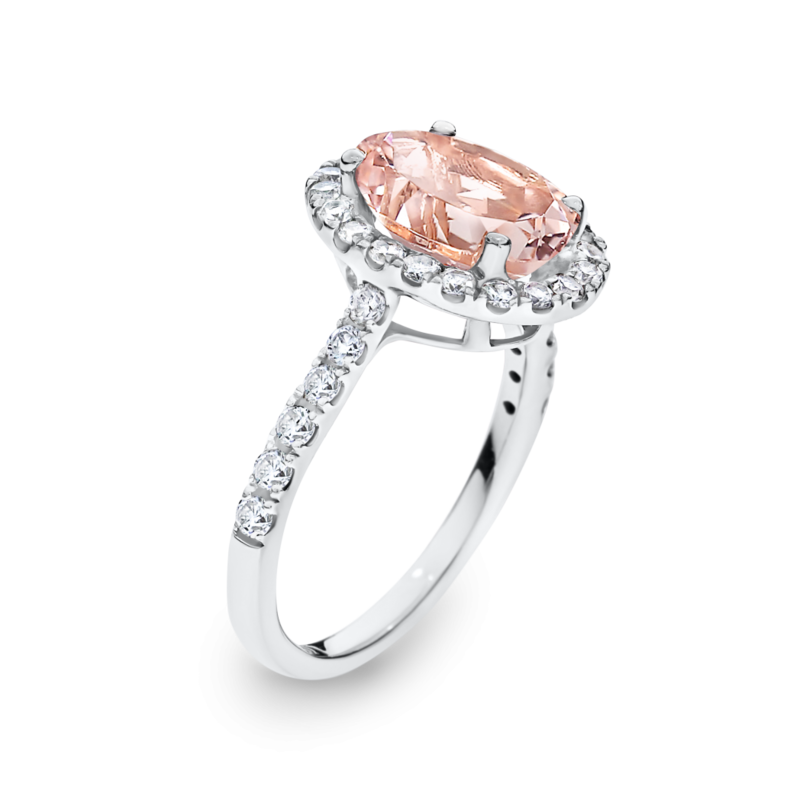 The pale pink hue of a morganite gives a feminine yet sophisticated look. Available in a wide range of centre stone carat weights, and shapes. Available in 18ct white, rose and yellow gold, or 950 platinum.